Во вторник, 19 ноября февраля, я буду делать презентацию про камелии в городе Санта Круз на собрании Американского Общества Рододендронов (the American Rhododendron Society). Вы можете подумать "Неувязочка! Камелии не имеют никакого отношения к Рододендронам, кроме требования кисловатой почвы. Панчул превратился в Латынину, которая ловит метеориты Глонассом?" Тем не менее меня пригласили, я поеду в Санта-Круз и буду показывать леди и джентлеменам из трех отделов Общества Рододендронов (The California Chapter, De Anza Chapter, и the Monterey Bay Chapter) слайды про камелии. Сначала мы все отобедаем в ресторане Ristorante Italiano по адресу 555 Soquel Avenue, Santa Cruz, а потом отправимся в the Live Oak Senior Center, по адресу 1777 Capitola Road. On Tuesday February 19, at 7 PM, at the Live Oak Senior Center, 1777 Capitola Road, Santa Cruz, the Monterey Bay Chapter of the American Rhododendron Society will feature a program by Yuri Panchul on the care and culture of camellias. The meeting will be held at the in the Senior Center Annex, which is the building furthest from the gas station. It is the building on the right as you drive in. Go through the gate just to the right of the left building then go right into the Annex. In the program there will be an overview of the history of Camellia culture in Japan, China, Europe, US and Australia’; camellia species and cultivar groups - japonica, sasanqua, reticulate, higo and others; a link with tea (Camellia sinensis); unusual camellias - yellow, dwarf, summer-blooming, variegated, etc. 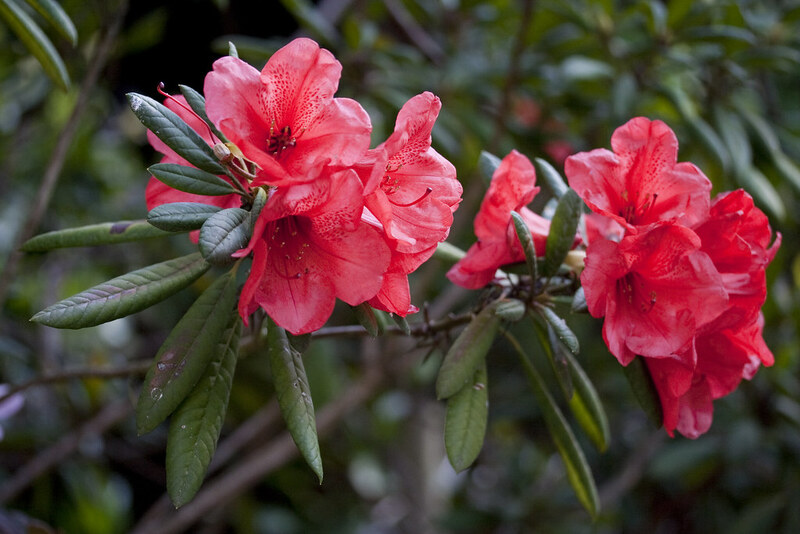 ; and differences between camellia and rhododendron culture (soil, fertilizer, sun tolerance, ultimate size, etc.). 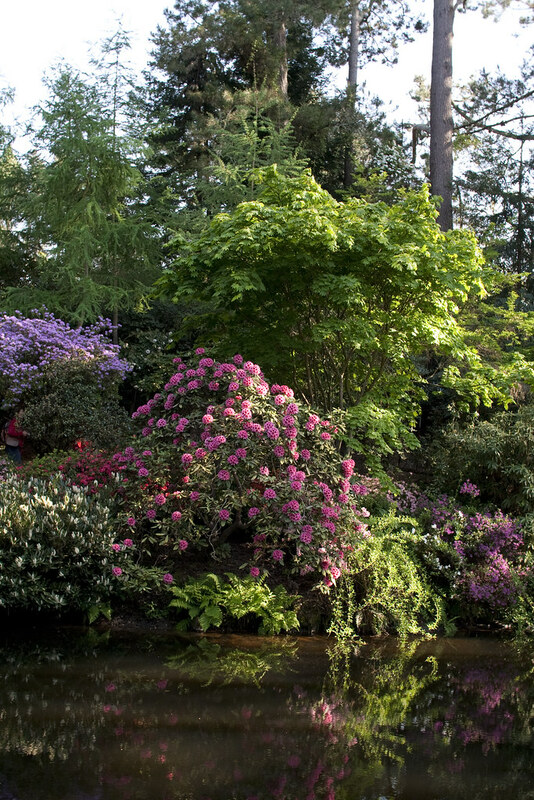 Many of us remember when Howard Oliver use to bring many trusses of rhododendrons to our rhododendron shows. Besides being active in the American Rhododendron Society, Howard Oliver was active in the Camellia Society. Howard Oliver was responsible for camellias and rhododendrons to be planted in various public places such as the U.S. Geological Survey headquarters in Menlo Park (where he worked), in Los Altos on Edith Avenue a short distance West of San Antonio Boulevard, and at Red Morton Park in Redwood City. Members of the De Anza Chapter of the American Rhododendron Society, including myself, helped in the planting at Red Morton Park, where there are or were the Rhododendron occidentale Britt Smith and Frank Mossman discoveries R. occidentale SM 29, R. occidentale SM 140, R. occidentale SM 157 (Miniskirt), another plant or Miniskirt or a repeat from the other list), R. occidentale 189 (the Smith / Mossman discovery with the largest flowers), another R. occidentale SM 189 or repeated from the other list), R. occidentale SM 232 (Leonard Frisbee), another plant of Leonard Frisbee or a copy from the other list, R. occidentale SM 602, R. occidentale Pistol Packin Mama, the Leonard Frisbee discovery R. occidentale Rogue River Belle, the Tom Tatum discovery R. occidentale TT 74 Deep Pink (discovered on a Smith / Mossman plant hunting expedition to Stagecoach Hill); the cross of R. occidentale SM 232 x R occidentale SM 189; plant of the East Coast species R. vaseyi, a plant of the northwest species R. albaflorum , R. macrophyllum, R. macrophyllum Seven Devils, and a plant which might be R. macrophyllum Seven Devils. The above is from two lists which Howard Oliver gave me of the planting locations. Camellias were also planted at Red Morton Park, but are not on the lists Howard Oliver gave me. A friend of Howard Oliver was Cam Ainsworth. Both were active in the Camellia Society and De Anza Chapter of the American Rhododendron Society for many years, and both took part in one of my Rhododendron occidentale plant hunting expeditions to Big Basin Redwoods State Park, and on one of my plant hunting expeditions to -Palomar Mountain State Park. Last Month Cam Ainsworth called me to talk about my article in the ARS Journal. In talking with Cam Ainsworth I asked if he could recommend a person to give a program on camellias, and Cam Ainsworth recommended a program by Yuri Panchul. This should be a program which should not be missed. There will be a premeeting dinner with Yuri Panchul at Ristoranye Italiano, 555 Soquel Avenue, Santa Cruz at 5:15 PM before the meeting. If you would like to join us please call Jerry Harris at 831-336-5554. If anyone is willing to to bring cookies and drinks to the meeting please call Jerry Harris at 831-336-5554. 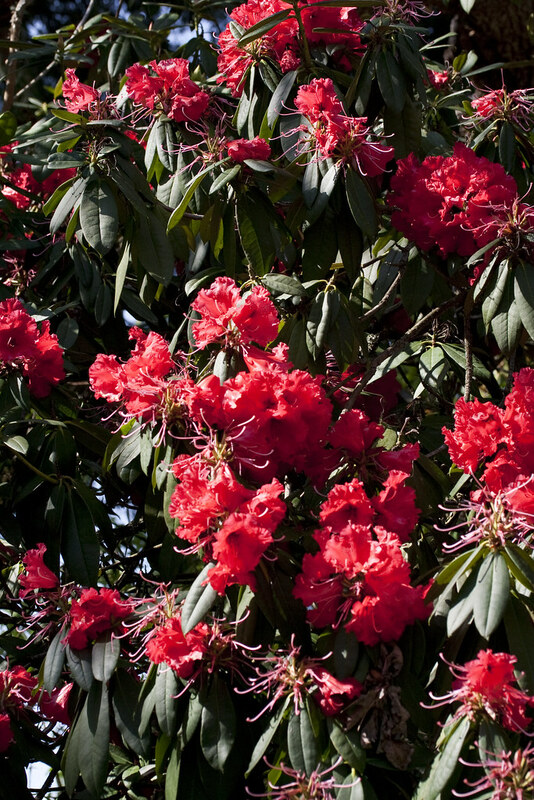 Tuesday	A program by Mike McCullough on Rhododendron occidentale. The meeting will be at the Live Oak Senior Center. Sunday	A garden tour of the Monte Toyon Rhododendron Garden that was created by Maurie and Fran Sumner. 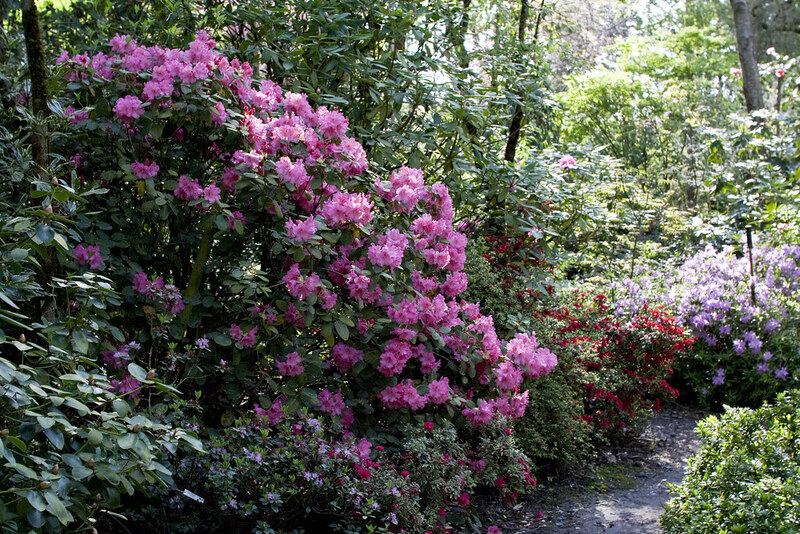 The Sumners created many outstanding rhododendrons including Mi Amor, My Lady, My Guy, Owen Pearce, Martha Wright, and Saffron Prince, and many of their creations and other rhododendrons are found at their three acre rhododendron garden which is located at 220 Cloister Lane, Aptos. Hopefully during this tour the early bloomers like My Lady will be in bloom. Sunday	A garden tour of the Monte Toyon Rhododendron Garden. 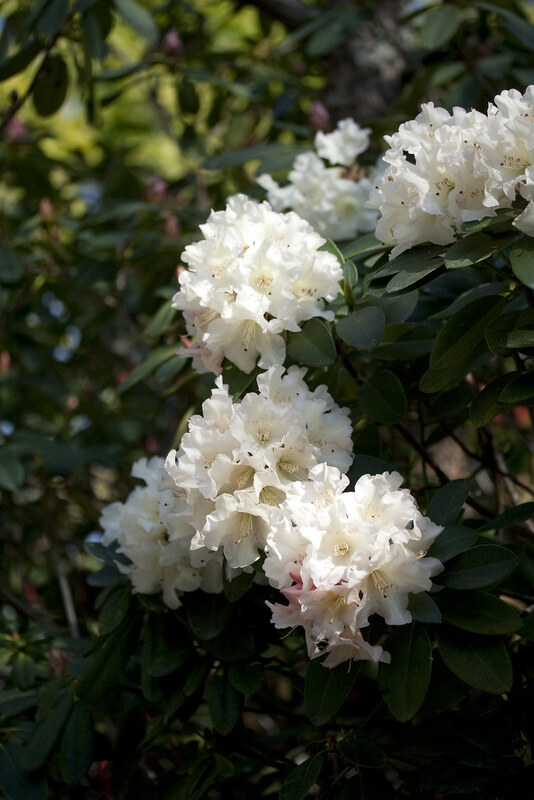 Later blooming rhododendrons such as Mi Amor should be in bloom. Saturday	End of the year pot luck which will be held at Bay Laurel Nursery, 1554 Bean Creek Road, Scotts Valley. The San Francisco Peninsula Camellia Society will stage its 52nd annual show and sale on Saturday and Sunday, Feb. 16 and 17, 2013, at the Community Activities Building, 1400 Roosevelt Ave., Redwood City. The free, public event will feature nearly 1,000 camellia blooms, a sale of newly introduced and hard to find premium camellia plants, a display of ikebana incorporating camellias, and educational workshops. The show will honor the society’s preeminent member, 92 year old Cameron (Cam) Ainsworth of Redwood City. 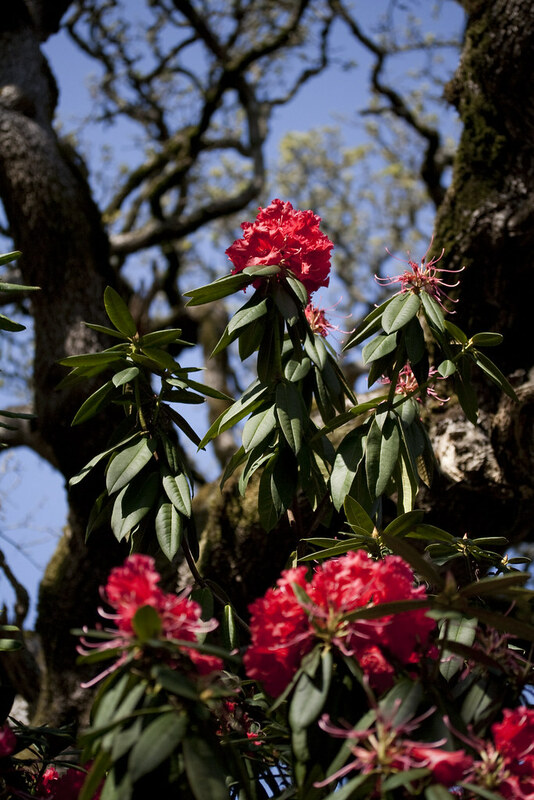 On the First Saturday of every month, the University of California Santa Cruz Arboretum features a tour of the Arboretum which is free with admission. The next tour is Saturday, February 2, 201 at 11:00 AM, meeting at Norrie's Gift Shop. http://www.sfbotanicalgarden.org Go to Plant Sales. The 46TH ANNUAL SPRING SALE will be May 3 ( Members Only Sale 5 to 8 PM) and May 4 ( Public Sale 10AM to 2PM ). 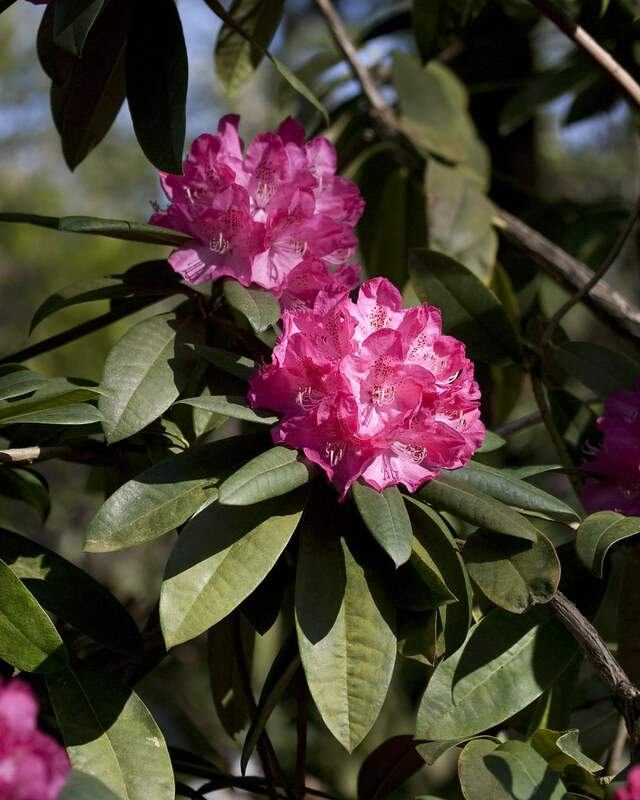 If you are interested in growing rhododendrons ( including species ) and other plants from seed, seed can be obtained from the American Rhododendron Seed Exchange. This list has a better selection of photographs. Information on past seed Exchanges can be found here. In some of the above, you will get an idea as to what the March program will be about. If you would like the Chapter to tour your garden in March, April or May, have information on programs that you would like to see mentioned in the Newsletter, or would like to have the Newsletter delivered via the internet (where you can see the photos in color), please contact Mike McCullough at mcculloughm@earthlink.net . Вы прийдете на наше собрание Американского Общества Рододендронов с моей презентацией? А Вы в самом деле полагаете, что Юрий стремиться ее добиться, а не добить? Ты знаешь, Юлия, я сегодня посмотрел радуловский фейсбук, и пришел в ужас. Дело в том, что я ее больше не комментирую, но у нее там завелись какие-то комментаторы, которые гораздо более суровые, чем я.
Раньше она считала, что все плохие комменты в ЖЖ оставляю я, но как я перестал ее комментировать, она сначала стала писать, что маньяков несколько, потом - что их "тысячи", и вот теперь - "большинство". Кроме этого, я посмотрел ее записи во время посещения олимпиады в Великобритании, и понял, что она реально ненавидит русский народ и не хочет с ним иметь никаких дел. В Коммерсант она сейчас пишет мрачные статьи про одиноких охранников-алкоголиков, выброшенных женами. А также про филиппинских женщин - очень оскорбительные статьи. Она не понимает, что оскорбляет кучи людей и искренне удивляются, когда они хотят ей что-нибудь сказать в ответ. Она не понимает связи между ее оскорблениями и реакциями людей. Мне даже захотелось написать Радуловой теплое анонимное письмо и утешить. Лучше на английском писать или на русском? Я вообще не знал, что она такая мрачная. Думал, такая хи-хи ха-ха бабенция. Несомненно, причем в Ресторанте Итальяно! Буквально на днях узнал, что наученное название чайного куста - "камелия китайская". Куды котитсо мир? Более того, Camellia sinensis может скрещиваться с некоторыми декоративными камелиями, в том числе Camellia sasanqua, которую я в основном выращиваю. Почти, типа, ОТ, но всё таки. У тебя, как у большого, например, антиполивановца, на всё должно быть объяснение. Почему ты транслитерируешь как "Санта-Круз"? Я никогда не пробовал разобраться в испанском произношении. Помню только про "Сан Хосе" ;-) И "Эл Ниньо" и "Ла Хойа". А что это на сайте Microchip вдруг вылезла вот такая хрень: "An error has occurred on the page you were visiting. We apologize for the inconvenience."? Проблемы? По какому URL? Где? Глюки на сайтах бывают. Смотрел я PIC18 не помню уже какой. На PIC32 такого не было. И вдруг полезло. Примерно минут 20 были отказы. Потом пошли Proxy error, потом всё восстановилось. > Глюки на сайтах бывают. У кого как. Я планирую работу так, чтобы их не было. После поглощения Сана Ораклом, например, сайт sun.com вообще исчез.